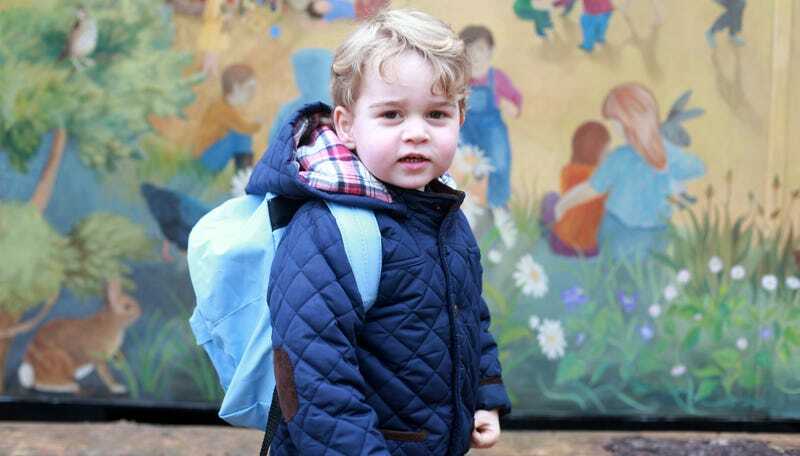 Prince George started school today. He wore a quilted jacket with suede patches on the elbows, like a tiny baby Barbour ad. He remains lethally adorable. To mark the occasion, Kensington Palace released two photos—both shot by mom herself—of the royal kiddo arriving at Westacre Montessori School in Norfolk. Good luck and godspeed to the childcare workers who’ll be responsible for wrangling this child, who probably points and demands his juice box with all the peremptory assurance of, well, a little prince.